A skydiver gets knocked out and loses consciousness in mid air! Watch and see how his team rescues him! Be sure to visit each week for a new video! ClearDent wishes a Happy Chinese New Years to everyone! 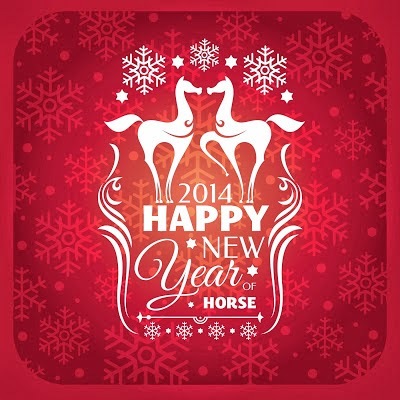 May the Year of the Horse bring you good health, wealth and prosperity! Also, if you haven't already, RSVP for our PDC2014 party now! It is now 75% full! Have you been to the new Ripley's Aquarium of Canada? Watch Rick Mercer dive right in! 2014 BC Fee Guides are available for download. Please contact technical support to get the fee guide uploaded to your system! Please note that we are closed on February 1st, please call in the day before (January 31st) to make sure you are up to date! RSVP quickly for our PDC 2014 Party! Relax and Unwind Before PDC! Come and join us at Steamworks Brewpub on March 5th! Relax and unwind as we host our annual Pacific Dental Conference party! Also be sure to fill out a ballot to support AboutFace and The Toothfairy Gala. Not Able to Join Us? Be sure to visit us at Booth #443 (click here for map) on Thursday and Friday to receive a FREE surprise gift and complete a ballot. Check this video out your dog can benefit a newborn's immune system. Interesting! We can work with you and your staff to implement today’s technology now, but more importantly, we help you build your foundation for future practice growth today. Streamline your access to clinical and practice management data, increase treatment plan acceptance, and automate communication with your patients to cut costs and build a loyal patient base. Join us in Vancouver for an evening of discussion to explore and discover the best solution tailored to you. The seminar is eligible for 2 CE Credits. Free Admission and RSVP required. Not in Vancouver? Our consultants are happy to meet you online or in-person. Send us a note we'll arrange. The Sochi 2014 Olympics are just around the corner! Thank you Mom for teaching us that falling only makes us stronger. There has been a revision to the 2014 Manitoba Periodontist & Periodontist Northern Fee Guide. Witness the beautiful birth of a crocodile as we welcome 2014! Happy New Years everyone!